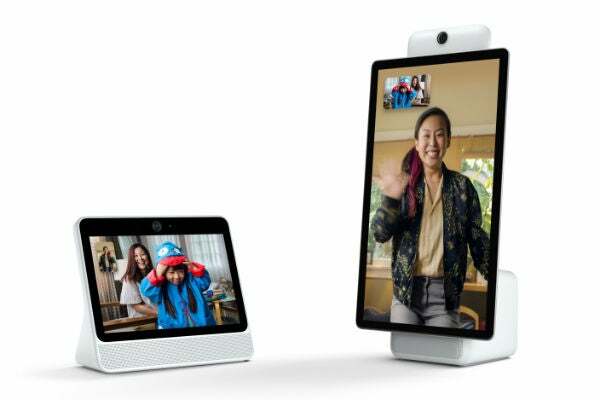 They’re essentially Facebook’s answer to the Amazon Echo Show, Amazon’s smart hub with a screen that allows you to video call friends and display information from the weather to the latest football scores. Although, as Facebook is keen to point out, it has some limitations not found on other smart hubs, to protect our privacy – more on that later. The Portal features a 720p, 10.1” display, a 12Mp front-facing camera with a wide 140-degree field of view and costs $199. The Portal+, on the other hand, sports a rotating 15.6” display with a full-HD resolution, and the same 12Mp, wide-angle camera. It costs $349. 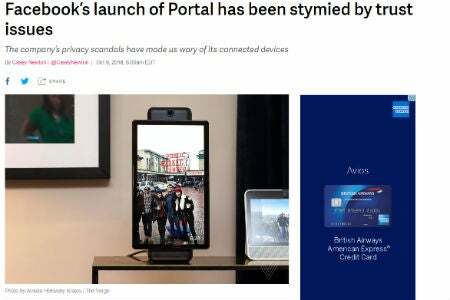 Should you want to invite Zuckerberg into your house, you’ll have to wait until November 15, when the Portals begin shipping. Now you might be thinking that you’d have to be crazy to let someone put a Facebook camera in their house – despite its protestations that it has a camera and microphone cut-off. And you’d be right to think that. But Facebook doesn’t care what you think. Facebook’s had a tricky 2018. 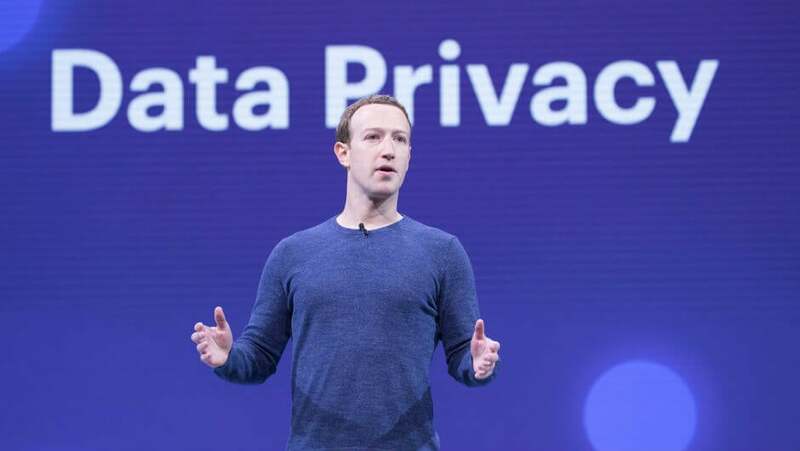 Starting with the Cambridge Analytica scandal, which played a pivotal role in the Brexit referendum, Facebook has had to answer questions from governments around the world, including Congress and the entire EU about its privacy and security controls. It’s also been accused of failing to act on its services being used to coordinate anti-muslim riots in Sri Lanka which left three people dead, and a incite a genocide in Myanmar. Any regular company would slow down, focus on its core product and try to rebuild the trust it’s lost in the process of its mishaps. Facebook, on the other hand, has decided to put a camera into people’s homes. A camera that anyone you’re friends with on Facebook Messenger, which isn’t necessarily everyone you’re friends on Facebook proper with, can call at any time of the day. Now, you don’t have to answer. And that technology is available elsewhere, Apple’s FaceTime, or Skype, for example. But, Facebook’s ubiquity makes its live video intrusion into the domestic realm even more concerning. Imagine, for example, that the Rohingya muslims in Myanmar were contactable by people who thought they were their friends, on Facebook at least – who might not have their phone number or know where they live – to check where they were during the genocide. This technology could be used to do significant harm if Facebook fails to police who is using its site. Facebook seems to be unable to ensure that its core keeps its users’ data safe. 50 million users were exposed to a bug that would let a hacker access their Facebook account and any other accounts they had used Facebook to sign in with and a glitch in May made 14 million users profiles completely public. So, you’d think that putting a camera in people’s homes would be a bridge too far for Facebook. But, given that nearly half the world’s population use Facebook, Instagram or Whatsapp and Facebook Messenger alone has 1.2 billion monthly active users, all of which have access to the cameras on your phone, it hardly seems like Facebook is breaking new ground. Social media companies live and die on their popularity. Myspace, Bebo, even Snapchat have all succumbed to the whims of the internet generation who, without warning, might simply stop liking a site. Facebook, however, seems to be able to withstand user backlash – which has a history dating back beyond 2010 – and simply keeps adding users despite teenagers failing to engage with the site. Even when it makes radical changes to the News Feed, or begins to minimize the posts of actual people in favor of commercial content, people keep flocking to Zuckerberg’s behemoth. Facebook has even managed to start making unpopular decisions in the running of its subsidiaries, with no obvious detriment. It has started to advertize in Whatsapp, and recently forced Instagram’s co-founders out of the company for standing in the way of increased monetization. So why does it do it? Because it can, and it doesn’t care what you think about it. Facebook is finding new users in countries emerging markets, where smartphones and LTE internet connections are becoming more commonplace. 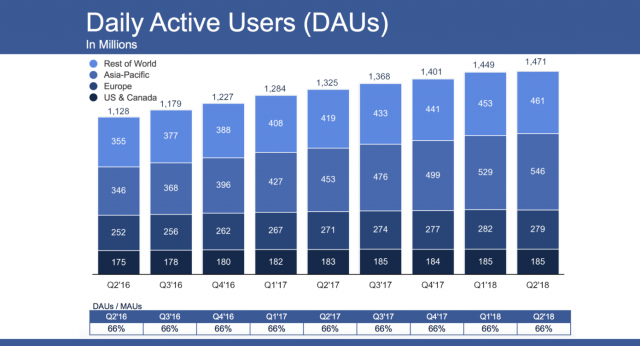 The number of daily active users is stagnant in Europe, the US and Canada while it is growing in the Asia-Pacific region and the Rest of the World. This resilience in its user base probably makes Facebook think that it doesn’t need to be overly concerned with the popularity of its innovations – even in its core European and North American markets. This explains why it went ahead with its Portal camera program. While it hasn’t garnered a positive reaction in the West, Facebook doesn’t care, because it doesn’t matter. 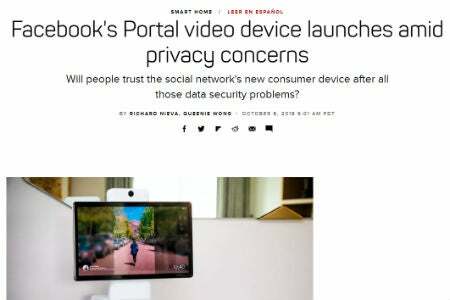 Facebook was supposed to announce the Portal at its F8 developer conference back in May and release it in the Fall. However, as it was in the midst of the Cambridge Analytica scandal, it thought, and rightly so, that it should hold off. This was despite two years of research and development into the product – a remarkable show of humility for the Menlo Park-based company. But despite Facebook failing to improve its data privacy and security record, it decided to plough on with the Portal and release it anyway. This is because it just doesn’t care whether you think that releasing a hardware product that could, in the wrong hands, surveil your house is a bad idea or not. It’s simply too big to fail – or care.